A market trader has denied murdering an 11-year-old girl who was stabbed to death more than 30 years ago. Ronald Castree, 53, of Brandon Crescent, Oldham, Greater Manchester, pleaded not guilty at Bradford Crown Court to the murder of Lesley Molseed. 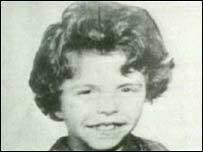 She vanished on 5 October 1975 after going out on an errand. Her body was later found on moors in West Yorkshire. 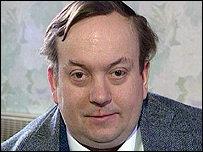 Stefan Kiszko spent 16 years in prison after being wrongly convicted in 1976 and died soon after his release. Lesley left her home in Delamare Road, Rochdale, to run an errand for her mother. She was found three days later on Rishworth Moor above the A672 Oldham to Halifax Road. She had been stabbed 12 times. Mr Kiszko, a 26-year-old tax clerk from Rotherham, was jailed for Lesley's murder in 1976. He was finally released in 1992 following an appeal but died shortly afterwards. Mr Kiszko was jailed after a major investigation in which nearly 5,000 statements were taken and more than 12,000 people spoken to in the first three months of the police operation. His mother, Charlotte, who had campaigned relentlessly to prove his innocence, died a few months after him. The investigation was reopened and featured on the BBC's Crimewatch programme in February 2003. Mr Castree spoke only to confirm his name at the 30-minute court hearing. Lesley's parents and other family members sat in the packed public gallery along with police officers. Jonathan Rose, defending, made an application for bail but The Recorder of Bradford, Judge Stephen Gullick, postponed his decision until Monday. Until then Mr Castree was remanded in custody. He will stand trial on 22 October.